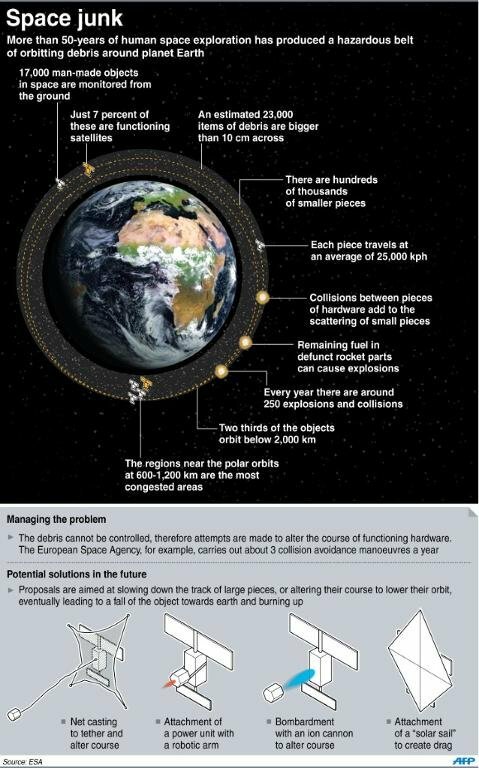 Japan is looking to launch a military “space force” by 2019 that will be designated to protecting satellites from dangerous debris. The idea is a big step towards more United States and Japan cooperation in space, as the Japanese would apparently relay information to the US military obtained by the space force according to reports. The new force will more than likely be comprised of personnel from the Air Self-Defense Force, which is Japan’s air force, and the team would eventually acquire radar and telescope facilities, in association with the science ministry and the Japan Aerospace Exploration Agency. There are whole slew of things orbiting the Earth from rocket pieces to old satellites, and Japan wants to do all in it’s power to prevent these debris from damaging functioning satellites.